The weather has been great except for all that rain we got here in Shiawassee County a week ago. We are waiting for dry ground. 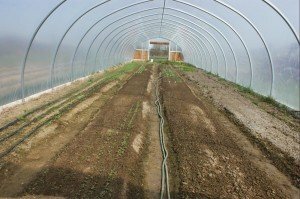 We have some peas and beets outside and lots planted in the greenhouses. 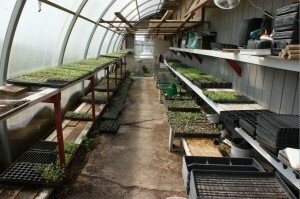 Untill we dry we are busy in the greenhouses with all the baby plants. Thanks to all who have already signed up. Enjoy this weather! Previous Previous post: THE NEW 2010 BROCHURE IS OUT!! !